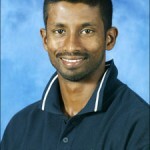 In this episode, former Sri Lankan cricketer and current TV commentator Russel Arnold talks about his playing career, and his current profession, the contract issue stand off between the Sri Lankan players and their board recently, the political interferences in the running of SLC, the future of Sri Lankan cricket, amongst other things. CouchTalk is also available on TuneIn Radio and on the YouTube Channel (ccTV). This entry was posted in Couch Talk, Featured and tagged Chaminda Vaas, Couch Talk, Kumar Sangakkara, Mahela Jayawardene, Podcast, Russel Arnold, Sanath Jayasuriya, Sri Lanka, Thilan Samaraweera. Bookmark the permalink.